Firestarter's Blog: S.I.C. Kamen Rider OOO BuraKaWani Combo, Leangle Jack Form Release Dates Announced! S.I.C. Kamen Rider OOO BuraKaWani Combo, Leangle Jack Form Release Dates Announced! 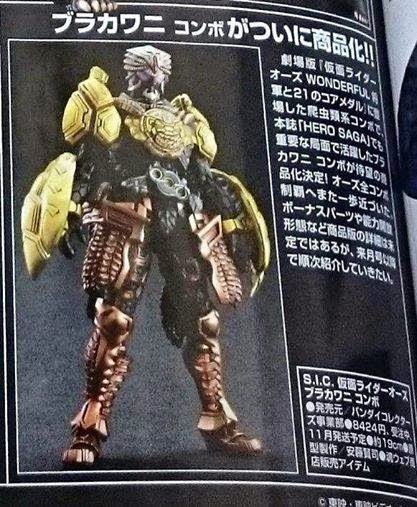 Recent magazine scans have revealed another Kamen Rider OOO Combo that will get the S.I.C. treatment. This is the S.I.C. Kamen Rider OOO Burakawani Combo. The figure represents the OOO movie form from the film Kamen Rider OOO Wonderful the Movie: The Shogun and the 21 Core Medals. This will be a Tamashii Webshop Exclusive that will be released this November for 8,424 yen. Another S.I.C. figure, Kamen Rider Leangle Jack Form will be released very soon. First seen only in the S.I.C. 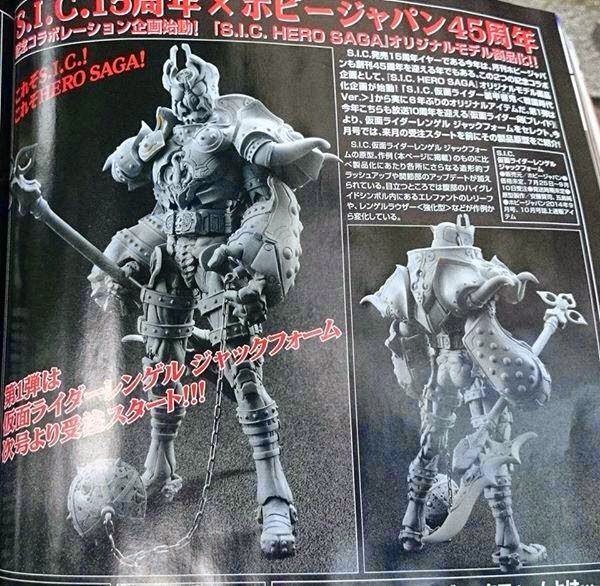 Hero Saga and manga, this will be a Hobby Japan exclusive open for orders between July 25th and September 10th and the release date will be in October. Price to be announced.